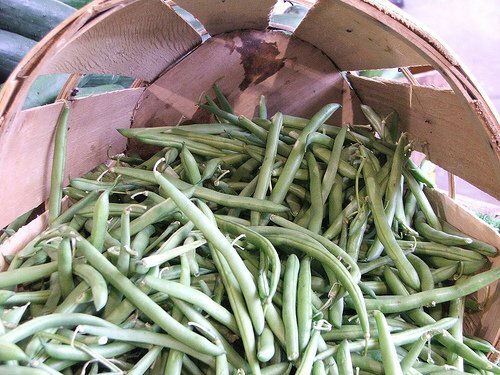 Clean the green beans by rinsing them with cold water, then snap the ends and stems. Next, fill a pot with enough water to cover the green beans and bring water to a boil on high heat. Boil for 3-5 minutes, longer for more tender green beans. In a pan, add the tablespoon of olive oil, once hot add the chopped garlic clove and saute until brown. Take the cooked garlic and oil and toss with the green beans. Salt to taste. Green beans are a great accompaniment to any meal from roasted chicken to roast beef. Pair your meal with a Chablis or Chardonnay. Green beans have a lot of nutrition. They are low in calories and have no saturated fat. High in vitamins A, C and B-1 and B6. Fresh green beans are also a good source of folates.